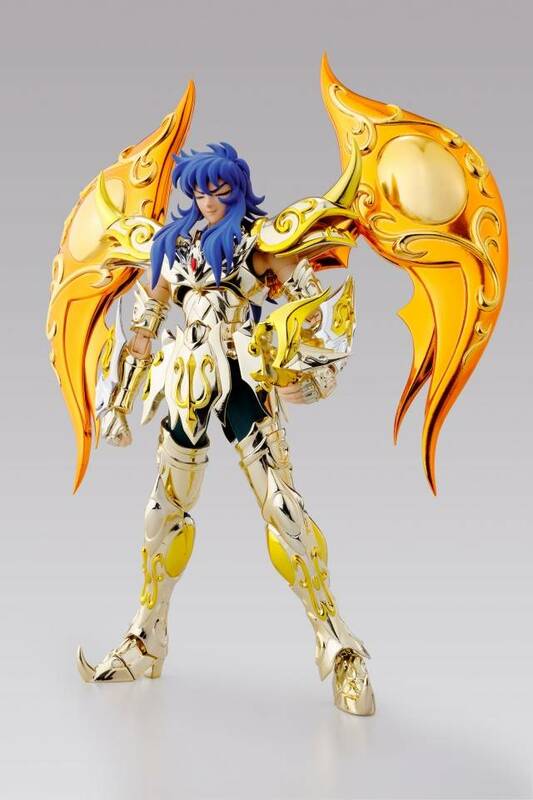 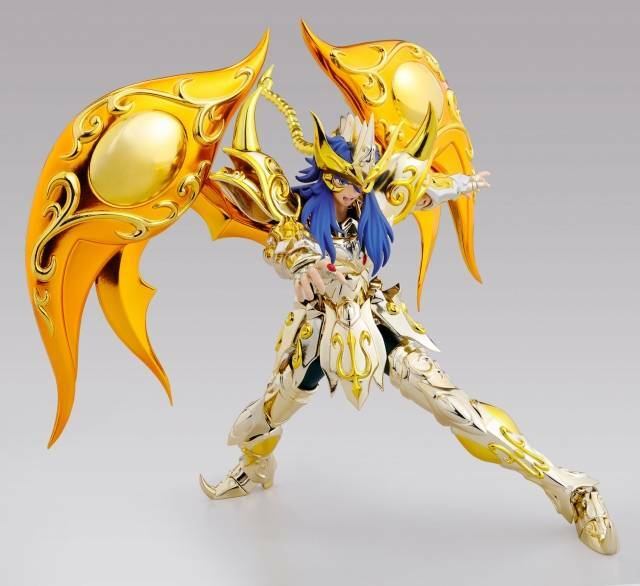 From "Saint Seiya: Soul of Gold" comes the tenth God Cloth: Scorpio Milo! 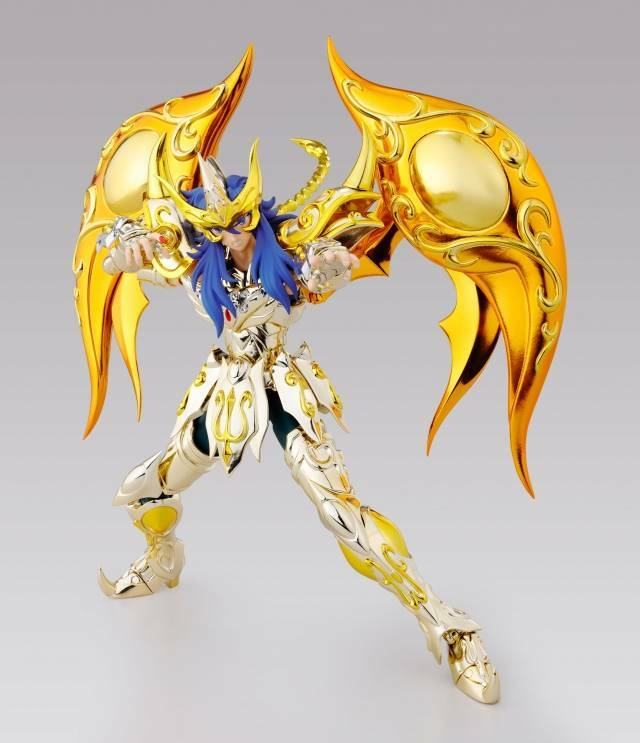 The latest technologies were harnessed to achieve true action poses, and his large "wings" can be posed dramatically as well. 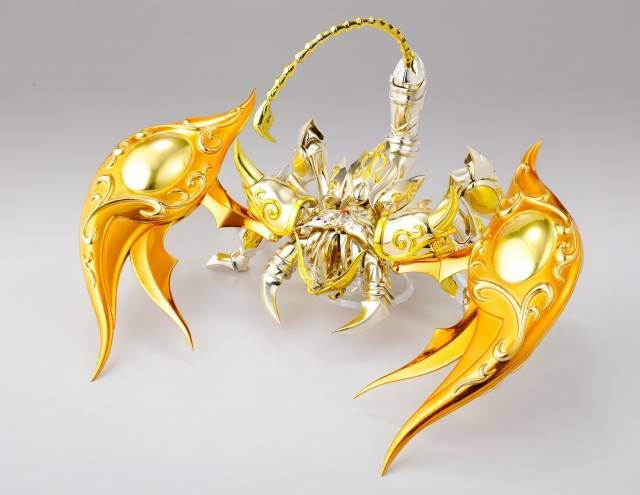 The armor can be removed and repositioned to form the Scorpion Object. 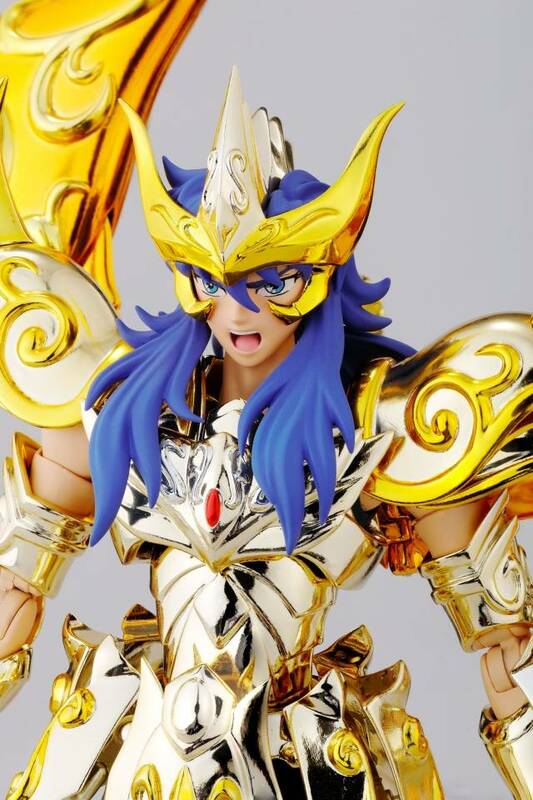 The 180mm figure includes a set of Cloth armor, 4 optional expression parts, a set of optional hair parts, 4 optional left hands and 6 optional right hands, an Object frame, and a Saint Cloth diagram.